Syprzak is a pivot born on 23 July 1991 in Poland in the town of Plock. 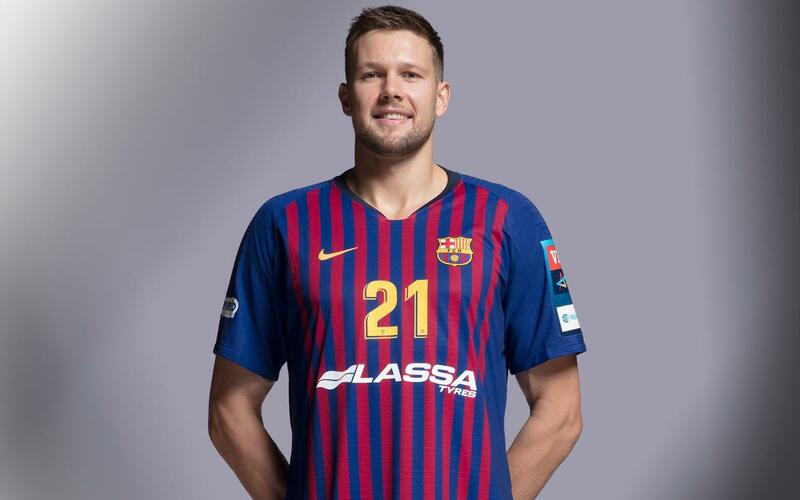 The 2.06 metre tall player arrived at FC Barcelona from Wisla Plock, his only previous team prior in this six seasons of handball prior to joining the blaugranes. Syprzak is the second Polish player to play at the Palau Blaugrana following his predecessor Bogdan Wenta. Widely considered one the young emerging talents of Polish handball, Syprzak has already demonstrated that his potential is being fulfilled. He was a valuable offensive weapon for the side in the 2014/15 EHF Velux Champions League and was awarded the best player of the round award for Match Day 8. Mobile, despite his size and technically sound, the centre was a key member of Wisla Plock side and the Polish national side during the World Championships in Qatar. With his first club he was able to claim the Polish league title in 2010/11, the season he made his debut for the national side. Four years later in the World Championships in Qatar, his goal right at the death against Spain allowed Poland to claim the bronze medal. Syprzak is a clear example of the new generation of young Polish handball players. Capable of moving around the 6 metre line, he brings goals in attack as well as security in defence. Moving to FC Barcelona has been the step forward he needed to allow him to show at club level the talent he has shown with the Polish national side.